A complete residential demolition lead to a ground-up new construction build of this beautiful home, designed by Garcia Architecture + Design. Blending this state-of-the-art residence into its traditional mid-1900’s neighborhood was choreographed by Semmes & Company Builders of Atascadero. We completed the ranch reinterpretation look by applying Armstrong-Clark Exterior Stain to all of the cedar soffit wood, and the stairwell tower siding and upper deck siding at the front and side elevations. 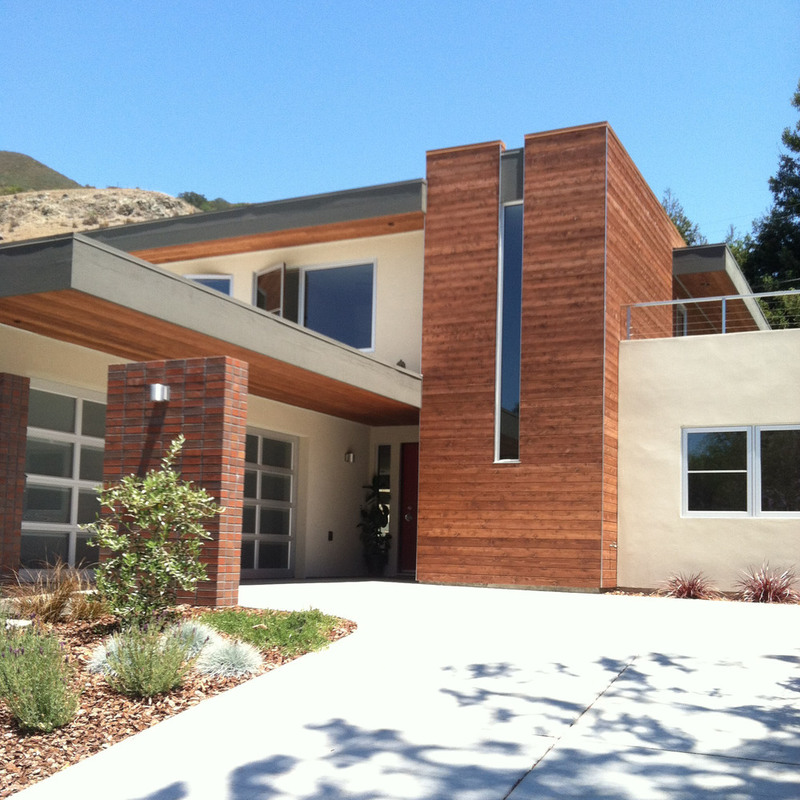 The double-tall fascia board was coated with a deep bronze tone to tie all components together. The finished product is nothing short of amazing, and has become a perfect fit for this wonderful family-centric neighborhood.